University of Sussex scientists have made a telling breakthrough in detailing the formation of 'flashbulb memories', which can help a snail find a sugary treat but also mean a war survivor repeatedly relives their trauma. The new research brings us much closer to understanding how traumatic memories could be controlled and the cruel blockade on new memories lifted. Prof George Kemenes and Dr Sergei Korneev at the University of Sussex have identified a specific molecule, a microRNA (miRNA, a very short RNA that does not code any proteins), which plays a key role in ensuring a long-term memory is formed. The finding could be an important step towards developing treatments for dementia patients as it sheds new light into how two 'yin and yang' proteins, CREB1 and CREB2, control the formation or suppression of memories. The findings from this BBSRC-funded project are significant because it is the first time that specific miRNAs have been shown to play key roles in the forming of long-term memories after a single episode of learning and adds new understanding to how even simple organisms like snails can remember a task after just one attempt. 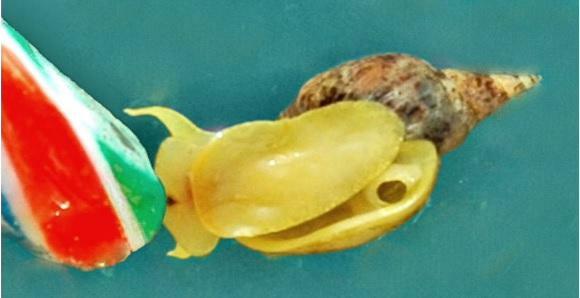 The discovery, by neuroscientists working in the School of Life Sciences at the University of Sussex and assisted by colleagues at the University of Oxford and in the Koltzov Institute of Developmental Biology of the Russian Academy of Sciences, was established through testing how great pond snails (Lymnaea stagnalis) are able to retain the memory of carrying out a simple task through single trial learning. In tests, levels of the miRNA Lym-miR-137 were found to significantly increase shortly after single trial learning. This then led to a reduction in the protein Lym-CREB2 mRNA, which is known to play a role in the restriction of memories by acting as a molecular constraint of memory formation. The results were initially a surprise to the research team as previous experiments on mice showed that reductions in miRNA had enhanced some types of learning and memory. The team believe that different types of learning are linked with distinct types of miRNA and that a whole complex 'soup' of miRNA might be involved in the formation of different types of memory. The levels of 14 different miRNAs were all found to be altered at differing times during the single-trial learning process. Prof Kemenes believes that by learning how to control the levels of CREB2 and its counterpart CREB1, a drug could be developed that would relieve the block on forming new memories in dementia patients. Similarly it has the potential to be used to help repress painful memories within those suffering from post-traumatic stress disorder. Prof Kemenes said: "Controlling the levels of CREB1 and CREB2 helps animals to retain only the memories that are useful for completing a simple task rather than trying to retain a lot of superfluous information. "The way snails form memories for this kind of learning is similar to how they are formed within humans. "The flashbulb formation of a memory that is then retained for a lifetime often involves the creation of a very negative memory such as something particularly traumatic or violent but it can also happen after something much more pleasant like a first kiss. "The more we can learn about the physical process of forming memories, the more hope there is that we could eventually learn ways to counteract conditions where memories are too traumatic or where new memories are being restricted."